Last year, wind power accounted for 95.6% of the demand for epoxy composites in Brazil. The Latin American Composite Materials Association (ALMACO) has created a wind committee in order to share knowledge and open new opportunities for composite materials in the wind industry. 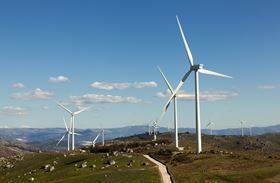 The group will gear its activities towards the wind power market, holding presentations, technical discussions and debates at companies that manufacture wind turbine components, such as blades, spinners, and nacelles, and companies that put these components together. It includes s[ecialists in the area of composites and representatives from universities and from the Brazilian Association of Wind Power (ABEEólica). ‘The activities will address many different themes, such as useful life of wind blades, how to improve rolled products, maintenance, repair work, and reverse logistics,’ said Waldomiro Moreira, coordinator of the committee. Last year, wind power accounted for 95.6% of the demand for epoxy composites in Brazil – the only segment to grow during this period (+4.5%), according to ALMACO. Some 55,000 tons of the material were consumed in the production of wind turbine components. Latin-American Composite Materials Association (ALMACO) has joined the startup support program carried out by composites firm JEC Group.